Which seats was Aldridge in before 1974? I think Brownhills was in Cannock from 1918 to 1955 and Walsall North from 1955 to 1974, don’t know which seat it was in before 1918 though. I think it may have been in Lichfield at one time. Yes as I have always understood it, Brownhills was in Walsall N & Aldridge in Walsall S from 1950 until the formation of this seat. It was the removal of Aldridge & its surrounding area from Walsall S which turned that seat from a safe Conservative one (the Tories didn’t lose even in 1966) to a marginal but perennial Labour one (Labour has yet to lose since 1974). or perhaps it was 1955 rather than 1950 as Tory says. Yes, my understanding is that Walsall South was created for the 1955 election, Barnaby. Of course we saw the potential impact of including ‘Aldridge-Brownhills’ wards in the Walsall divisions when we considered the Boundary Commission’s initial proposals for 2015. Aldridge etc would have been put in Walsall North, which would have become a pretty safe Tory seat; and Streetly would have turned Walsall South Tory too, albeit only marginally. Walsall South actually had a a larger Tory majority in 1966 than in 1955, no doubt due to the growth of areas like Aldridge and Streetly. It wasn’t just the removal of these areas which translated Walsall South into a Labour seat but also the addition of the heavily Labour Darlaston area from the old Wednesbury seat. I know the election is still a long way out, but I’m gonna stick my neck out and make my first actual prediction. I’m posting on this seat simply because it’s my home seat. Think Redcar and Leicestershire NW will go to Labour. And Dartmouth though Ukip will do well there. Good Ukip votes could see a few other Tory seats crash. In some of the “Labour gains” in your list, Labour failed even to beat the Tories in last month’s county council elections. Therefore they’re quite unlikely to win those parliamentary seats, given the normal swingback to the government by the general election. From the top of my head Dover, Waveney, Gloucester and Worcester certainly come into this category, there will be others too which I’m sure Andy JS will identify. In my own region of London I do not believe Labour will win Ealing Central, Croydon Central or Harrow East. Brentford & Isleworth and Hendon are seats where maybe Labour is favoured right now, but not nailed on gains. The divided nature of most London seats is going to limit the swing against the Tories in the same way it limited the swing towards them in 2010. There are simply hardly any swing voters left in London. I do not believe Labour will win a majority. The best they will be able to achieve is most seats and a coalition government. I cannot see an SNP win in Caithness – I think Argyll & Bute is more likely to go SNP than Labour. There doesn’t seem to be a mention of Bradford W which is currently Respect held. I don’t know how Swindon N can be a Labour gain, but the far more marginal Swindon S isn’t. I think this is a very optimistic prediction – I think at this stage Labour would be around the 300 seat mark, with the Conservatives around 260. As I’ve said previously, I don’t have the psephological knowledge to go through seat by seat. I can only go on a more general gut feel which continues to tell me that Labour will either win a small working majority (10-25 seats) or at the very least be comfortably the largest party. There are numerous reasons that lead me to think this, but mainly it’s a) that I don’t think any political party would have improved their electoral fortunes in these circumstances b) the Tories are still tainted within a large swathe of the electorate in a way that other parties aren’t c) the Tories had a chance to at least present a moderate, coherent centre-right programme to appeal to voters that they couldn’t quite swing last time – they have largely failed to do this and have looked rudderless under Cameron. In fairness to Cameron, my point within (c) is negated somewhat given that he is trying to cobble together a coalition which includes the likes of Julian Huppert and Philip Davies, which anyone would struggle with. The only thing I would perhaps question is MK south – I work in the constituency (near Bletchley station) and whilst much of Bletchley and Fenny Stratford is fairly compact, somewhat run-down housing, other areas of the constituency are seeing significant new housing development (and indeed, even in some areas of west Bletchley and Water Eaton new development is taking place (one right opposite the notorious Lakes Estate). I know it’s crude to equate new housing to Tory support, but if I had to take a guess I would say that this constituency would gradually be trending Tory. So I suspect that the Tories may hold it. I agree with quite a lot of Adam’s predictions but I think a hung parliament with labour as the largest party is the likeliest outcome. In the West Midlands I tend to think the Conservatives will retain Worcester and Warwick and Leamington- albeit narrowly. Labour did very poorly in Worcester in this year’s local elections. In the North West, I wouldn’t write off the Tories in the East Lancashire marginals of Pendle and Rossendale and Darwen. Labour had a 6% lead in Pendle in this year’s locals and they didn’t exactly set Rossendale alight either. I also think Stephen Mosley might just hold on to Chester because I strongly dispute the notion of a dynamic ‘Mersey’ effect there. I also think the Tories will avoid major damage in Yorkshire. Dewsbury and Pudsey seem likelier than not to go Labour but I have my doubts about the other seats mentioned. In particular, I wonder if bellweather Keighley might spring a surprise. Labour hasn’t done all that well in local elections there since 2010. But if it was a Tory hold it would be very narrow. As others have said, an awful lot can still happen. Rather odd that he has left out Hastings & Rye which strikes me as a lot more nailed-on a Labour gain than some others mentioned. I also think that a Labour gain in Dudley South is likelier than one in Warwick & Leamington, despite the bald figures suggesting otherwise. I also don’t see my party winning Argyll & Bute, though it’s not impossible. If I bet on a SE region gain for Labour it would be Hastings. Labour won 7 out of 10 county council seats in May including 7 out of 8 in Hastings Town itself. Much smaller swing at 2010 GE and area is moving from its traditional seaside resort status to one of more deprived. Sorry, Barnaby, compiled Hastings comment the same time as yourself. No-one’s actually said that. Many people feel that the Tories are unlikely to survive in Brighton Kemptown or Hove either, though the Tories’ chances in these seats are perhaps slightly brighter than in Hastings & Rye. There are other strong chances for Labour but there is an element of doubt at least about all of them, even Thurrock which needs a minuscule swing. But Ukip did take more votes from the Tories. UKIP’s bubble hasn’t exactly burst, I’d say it’s just deflated a bit. They are still over 10% in all polls. Moreover it’s likely the bubble will re-inflate somewhat next year, with the Euro elections and a new wave of immigration from Romania and Bulgaria. It’s much more a 60/40 split than the 90% or so from the Tories that many Labour people were (gleefully) expecting. In some Con-Lab marginal areas like Waveney and Dover it’s pretty certain that UKIP helped the Tories to beat Labour in seats Labour will need to win even a small overall majority. The UKIP vote has never been anything approaching 90% Tory. I am sure I said on the old site that two thirds at most are erstwhile Tories. A sizeable number are people who wouldn’t otherwise vote. The hope of some people that UKIP will do to the Tories what the SDP did to Labour in the 80s is fanciful. Indeed I still believe the UKIP bubble will burst before the next GE. It will survive well into next year though. Yes that is the crucial question – what happens to UKIP in between the euro elections of 2014 and the general election. Waveney was an unbelievably poor labour result. It seems strange that the UKIP support would be drawn that heavily from labour, probably a combination of the that with a low base labour to tory swing, but even so it still was very surprising. Wonder if Bob is up for another of his 50 quid bets on that seat. Bob has been making a few 2000 quid bets as well, some of them on quite implausible outcomes. Do you think he’ll still be here the day after the general election? If Richard Shepherd stands down at the next election, I can see this seat swinging substantially away from the Conservatives, but mainly to UKIP. It would be sad if he did stand down- a truly great parliamentarian in my view. Who knows- he may well do another term. I wouldn’t be surprised if he did stay on for another term, he clearly has a huge personal vote here. I met Richard Shepherd about 16-17 years ago and he came across as a real gentleman. And I say that as someone who disagrees with quite a lot of his views. Tim: I don’t know which Labour people you have spoken to, but I don’t know anyone who thought al the voters would be former Tories. It does appear to be regionally slanted. Labour actually got the seat gain they thought they would. We don’t do as well in the south or the shires. Not so much where it mattered for Labour. It’s arguable they cost them more county council seats than they gained, and in any case they pushed Labour into third place in several counties in overall votes. Labour lost out largely where they can never win in Parliamentary terms. now you’re gnashing your dentures at substantial trackts of the midlands aswell. Sorry it was satire, not literal – but you get the gist. You may still squeak a 33% strategy though. You make these strange outbursts sometimes Joe, but this one isn’t very fair. Parties have to accept that some seats are stronger than others, and prioritise. 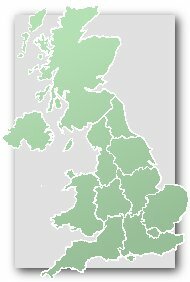 The fact is that most of the seats which Labour has to win to become the largest party aren’t in the SE (the Brighton & Hastings areas are an exception, as is Thurrock), and it isn’t bitter to acknowledge that, any more than it is bitter to acknowledge that hardly any of the seats that the Tories need to win to remain in government are in Scotland, the urban North or urban Wales. Labour certainly needs Waveney to become the largest party. Yes, they do though that seat is in Eastern England rather than SE England. As Barnaby said, Labour does not need to gain many seats in the SE or London area to win a majority. The Eastern region does contain a number of seats which do they need to gain and their disappointing performance in Waveney last month is certainly a concern for the party. Oh all right – I’m sorry – it was just a bit of gentle teasing. about not wanting to mix with people from the Shires etc. But it’s worse – David Miliband is the one who wouldn’t represent a heartland Northern Labour seat – just until the next election. I really like enjoy many many places in the North. You Gov just 7% lead. It’s within the MOE. Typically Labour are about 8% ahead in YouGov polls at the moment, slightly less in some others such as ComRes, Ipsos MORI & ICM, slightly more in certain others. Looking at the census figures, it is interesting that A-B has significantly greater than average numbers of residents working in skilled trades and administrative and secretarial occupations. One can perhaps compare it with Romford (which has the 4th greatest proportion of administrative workers of any constituency in the country)- solid, middling suburbia where the Tories have fared well in recent years. Which seats were Aldridge and Brownhills in before 1974? Good to see you on here, Harry. Brownhills had previously been in: Cannock (1918-1954); and Walsall North (1955-1973). I am not absolutely sure about that but I am sure Pete will step in and assist if I am wrong. Sir Richard Shepherd has been re-selected for Aldridge-Brownhills. I think Richard Shepherd has quite a big personal vote here. I think his excellent result here in 2010 may well suggest that. The fact also that he held on to this in 1997 with a below average swing against him says a lot too. or it suggests that Labour is weakening, slowly but surely, as the years go on. There’s hardly anywhere else that Labour won in 1974 (both times) but not in 1997.